Product prices and availability are accurate as of 2019-04-12 16:09:27 EDT and are subject to change. Any price and availability information displayed on http://www.amazon.com/ at the time of purchase will apply to the purchase of this product. High print resolution delivers the crisp text and graphics to produce professional looking letters, reports, spreadsheets, and other important documents, ensuring that your work always looks its best. Toner Save Mode helps you save money and toner when printing a variety of text-based documents. With an up to 20 pages-per-minute print speed, users can print quickly and easily with less down-time. Convenient manual feed slot makes it easier to print envelopes, letterhead, and other media one at a time, without changing the paper in the lower tray. Small footprint can fit almost anywhere, even in the most crowded workspace. Easy connectivity gets you up and printing in no time. Printer Type: Laser; Maximum Print Speed (Black): 20.0 pages/min; Print Speed (Black): NA; Maximum Print Speed (Color): NA. 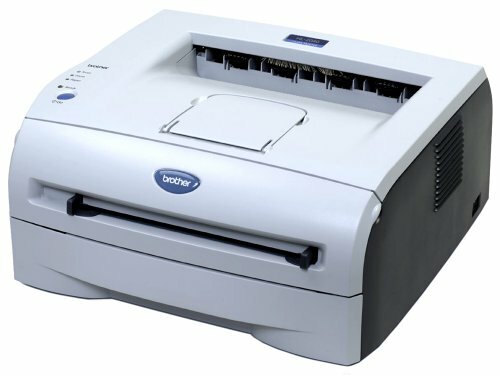 Sporting a compact design that easily fits into any workspace, the Brother HL-2040 laser printer is ideal for home or small office use. This dependable unit offers fast print speeds of up to 20 pages per minute (ppm) with the first page out in under 10 seconds. The 2400 x 600 dpi resolution (up to 600 dpi text using Linux) with laser print quality ensures crisp, clear text and monochrome graphics every time you print. Additionally, the generous 250-sheet paper input capacity means you can work more efficiently, while the innovative Web-based user support system helps you quickly and easily manage jobs and troubleshoot problems. The HL-2040 also comes complete with a starter toner cartridge and standard drum that print up to 1,500 and 12,000 pages respectively, saving you and your business both time and money. Convenient and easy to use, the HL-2040 sets up in minutes, and boasts an 8 MB standard memory and the versatility to print letter- and legal-size documents as well as envelopes. It also offers USB and Parallel interfaces, is compatible with both Windows and Mac, and comes with a 1-year warranty. HL-2040 laser printer, 1 starter toner cartridge, 1 standard drum.